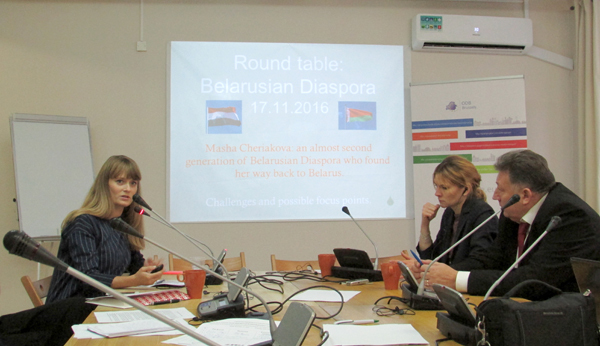 What Contribution Can Belarusian Diaspora Make to the Development of the Country? On November 17, 2016, Minsk hosted a round table to discuss global migration trends and international experience of diaspora representatives participating in the development of their own home countries. Participants of the discussion - representatives of CSOs, business, education, international organizations – analyzed the "waves" of Belarusian migration and prospects of the national diaspora participating in economic and cultural development of Belarus, as well as modern approaches to promoting “Belarusian identity” in various countries of the world. What Are investors' fears in Belarus and What reforms are Needed? On September 29-30, 2016, an investment forum "Broadening the Horizons: Investment, Finance, development" was first held in Minsk. As noted by Andrey Kabyakou, Prime Minister of Belarus, one of the goals of the event was to establish dialogue between Belarusian authorities and the international community of investors to better understand their apprehensions and wishes, and further improve Belarusian investment policies. On Friday, November 20, Hrodna hosted a round table "Local Border Traffic On the Eastern Borders of the European Union: Case Belarus" organized by the Evening Hrodna newspaper and the Belarusian Institute for Strategic Studies (BISS) in partnership with ODB Brussels and the Visa Facilitation and Development Centre. The experts shared their views on prospects of local border traffic (LBT) development between Belarus, Lithuania, Latvia and Poland. 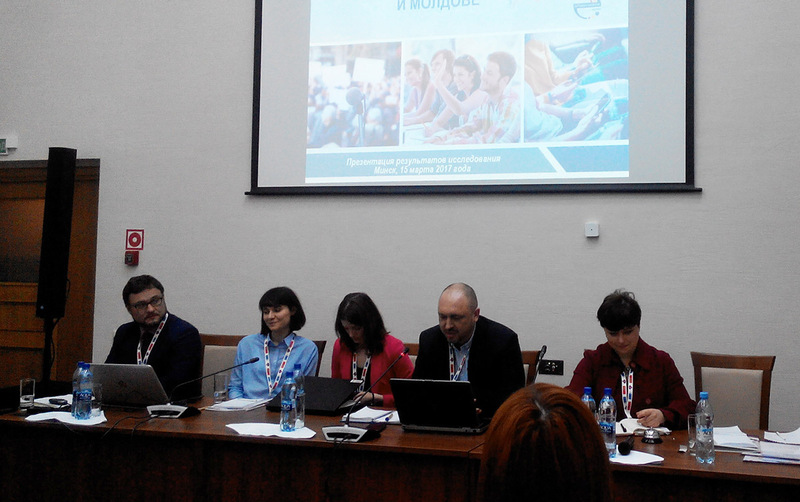 On May 28-29 Minsk hosted the International Conference "Minsk after Riga: a Forum on Reforms, or How Can Belarus Adapt and Develop in the New Regional Contexts?" During the event, experts from Belarus, the EU, Ukraine and Russia reviewed the results of the Eastern Partnership summit held in Riga, as well as prospects for reforms and attraction of investments to the Belarusian economy, accession of Belarus to the European Higher Education Area and new challenges that have arisen in the media-sphere in connection with the situation in Ukraine. On January 27-29, 2015 a delegation of Belarusian civil society representatives visited the Council of Europe. 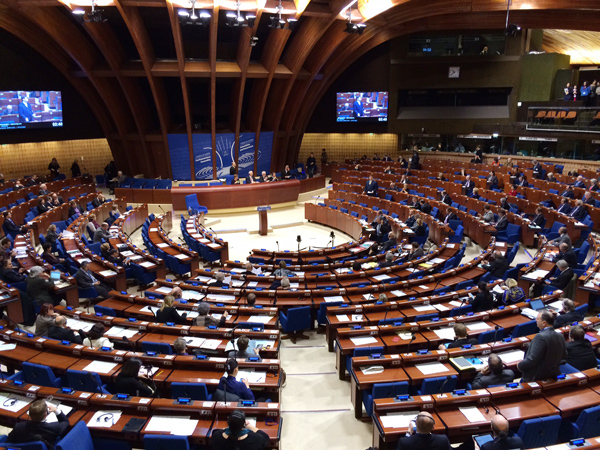 Friends of Belarusian NGOs attended the winter session of PACE held in Strasbourg (France). The participants included representatives of the Office for a Democratic Belarus (Brussels), Belarusian Association of UNESCO Clubs, the Liberal Club and other organizations. Belarusian representatives met their European counterparts to discuss participation in international programmes for small cities development, youth outreach and other issues. On 23 June, the Office for a Democratic Belarus and the Wilfried Martens Centre for European Studies organised an expert meeting entitled “Why Belarus is different”. Invited speakers at the event were Senior Analyst of the Belarusian Institute for Strategic Studies (BISS) Dzianis Melyantsou, Leading Analyst of the Ostrogorski Centre, Siarhei Bohdan, and Jana Kobzova of the European Endowment for Democracy, who also writes for the European Council on Foreign Relations. Looking out to the future, Stuzhinskaya named the change of Belarusians’ mindset and greater understanding of universal values in the society as a path to take when it comes to Belarus assistance. She advised to use space that is available for incremental changes; for the EU and its Member States to be present in-country and involve a wide range of actors in joint activates – CSOs, universities, business community, local authorizes, journalists and other. Building capacity of local actors and training managers on all levels will pay off in the future, she said. 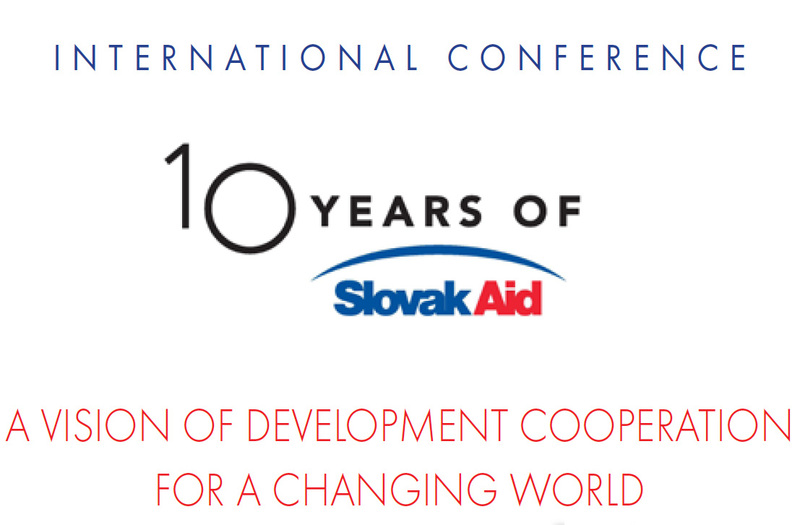 With regard to priorities for the SlovakAid, Stuzhinskaya agreed with the participants of other conference panels: it is not about the amount of funding but about its relevance. Innovation, inspiration and ideas this is where Slovakia can contribute immensely in the coming future. 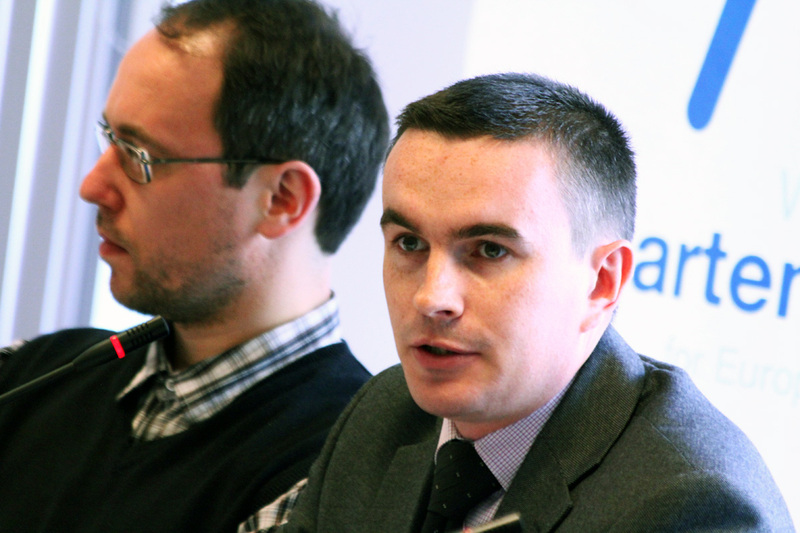 MEDIA RELEASE: A BELARUS PEOPLE’S REFERENDUM? 17 October, Brussels: The European Endowment for Democracy (EED) with information support by the Office for a Democratic Belarus (ODB) hosted an event for the People’s Referendum Coalition from Belarus. Four Belarus movement leaders (“Tell the Truth” leader, Uladzimir Niakliaeu and Vice-Chairman Andrey Dzmitryeu, Movement's “For Freedom” Vice-Chairman Yury Hubarevich and Belarusian Popular Front’s Chairman Alaksej Janukevich) presented the “People’s Referendum” initiative. The debate focused on political developments in Belarus and plans ahead of upcoming elections. 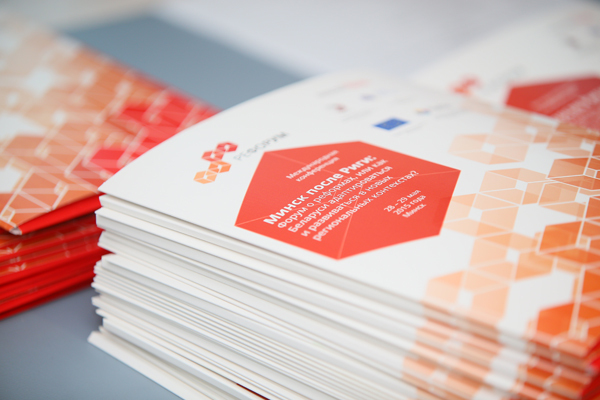 The event was attended by representatives of the EU Institutions, Brussels-based think-tanks and NGOs working with Belarus and the region. In the next three years, Belarus will hold three different elections: local election in 2014, presidential election in 2015 and parliamentary election in 2016. Some opinion polls have indicated that there is a “new majority” - Belarusians who neither support the current president, nor vote for the political opposition. The main challenge for the opposition is how to attract and involve these individuals in Belarus politics and elections.